GAS Offers Fans of Ford’s Ranger Raptor an Off-Road Capable Alternative for the U.S.
Galpin Motors, the internationally known leader in automobile retailing and home of the famous custom shop, Galpin Auto Sports (GAS), today announced the availability of a Galpinized Ford Ranger dubbed the “Ranger X.” The truck combines suspension upgrades with an aggressive exterior finish, all while retaining a dealer warranty. The first example is complete and the Ranger X package is now available to interested Galpin customers upon special order. 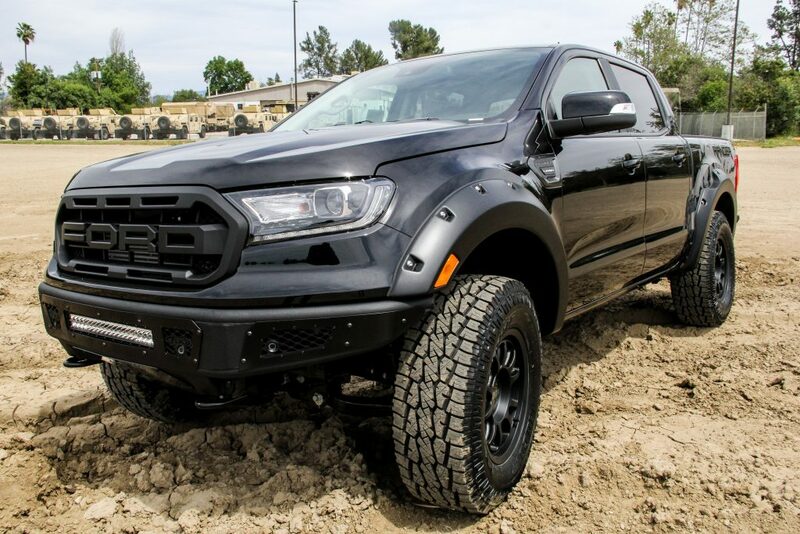 Ford’s 2019 Ranger is an outstanding truck and the team at Galpin Auto Sports has expanded on the platform by providing enthusiasts with a beefed-up suspension designed to handle anything, directly from the dealership. 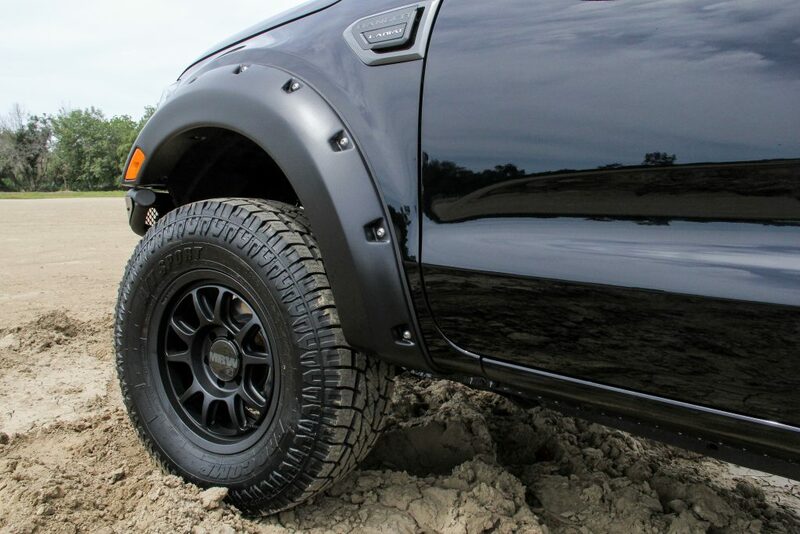 The first thing that stands out on the Ranger X is the increased ride height, thanks to a ProComp Leveling Kit and custom 17-inch wheels with upgraded 285/70/17 ProComp A/T Tires, designed to handle the most extreme off-road conditions. 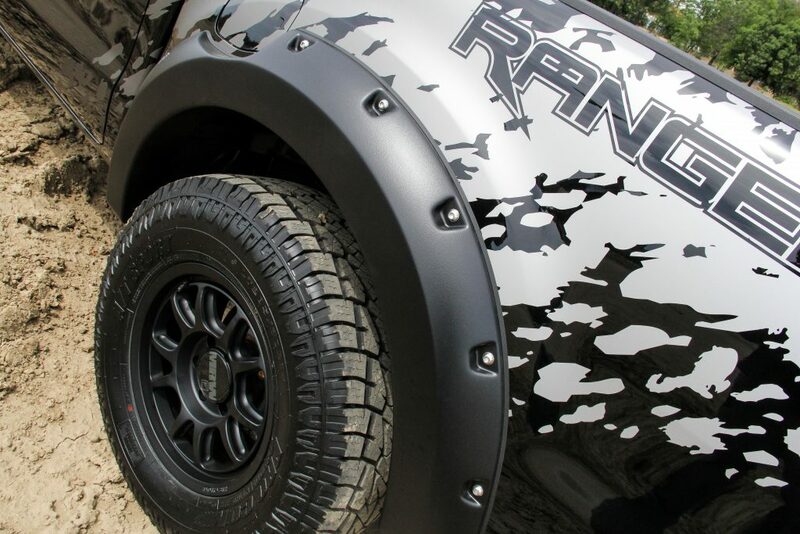 For a rugged exterior that compliments the off-road capabilities of the Ranger X, Galpin added a number of upgrades. 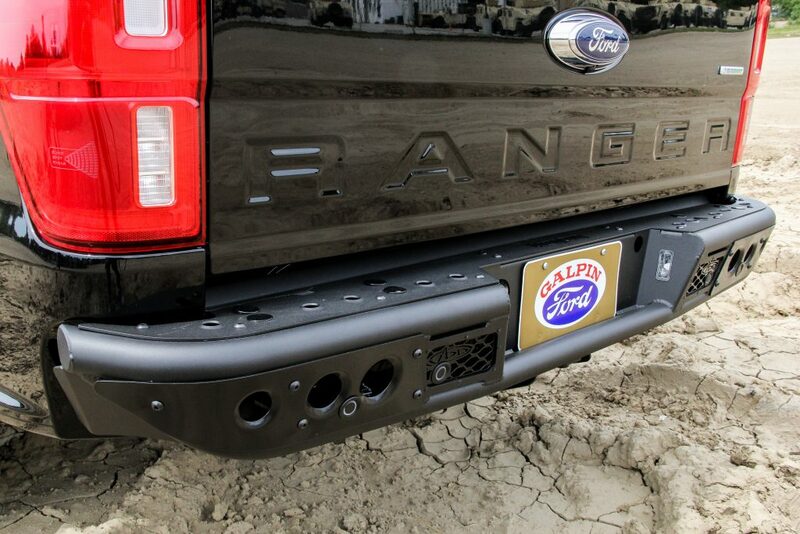 Each truck features an aggressive Ranger Raptor front grill and Ford Accessories Fender Flares. Additionally, Addictive Desert Design front and rear bumpers, chosen for their quality and durability, further enhance the styling of the purpose-built Raptor X. A state-of-the-art Ridged Industries light bar and custom vinyl graphics complete the look and create a truck that will stand out from the crowd in any situation. Thanks to Galpin Auto Sports’ extensive experience in modifying vehicles, the additional options are endless. Customers can expand upon the base Ranger X to include everything from braking upgrades to custom interior touches such as enhanced stereo systems or bespoke upholstery. The sky is the limit at Galpin Auto Sports. 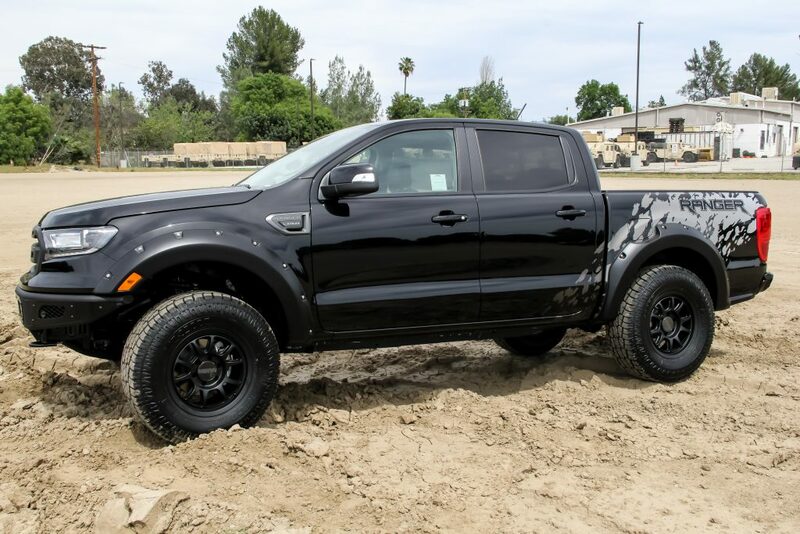 Customers interested in the Ranger X can purchase one directly from Galpin Ford or bring in their previously purchased Ford Ranger for the conversion. The Ranger X conversion starts at $13,950, not including the Ford Ranger itself. For more information please contact Tommy Rezaie, General Manager at Galpin Auto Sports by emailing him at Gas@galpin.com.